To bring change in a community, those who desire it have to come together to make it happen. When Charles City citizens lobbied for better fire and EMS services, County Administrator Michelle Johnson hired its first ever Director of Fire and EMS for the county. 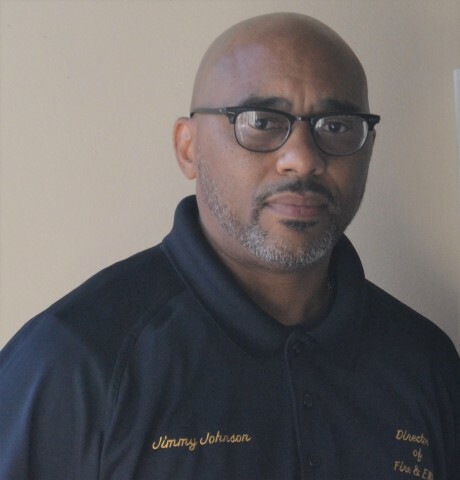 James “Jimmy” Johnson was introduced to the position at the board of supervisors meeting in September. The 49-year old brings 13 years of experience working as a firefighter in Richmond. Johnson is no stranger to the county as he has family residing in Charles City. His number one interest is improving the county’s emergency response personnel. Johnson said that his transition from a big city to a small locality will help his expertise in getting a better and clearer vision to what Charles City needs. “Those experiences [in Richmond] have helped me and they will help Charles City tremendously,” he said. “It’s not the same pace as Richmond, but it has some of the same issues. As Charles City looks to grow, many citizens have had doubts in the past due to failed promised and a lack of services, resulting in a dwindling population. Johnson is looking to rebuild confidence back in those citizens. “You must have consistent services. There is no time limit when a fire is going to happen, and the citizens must believe in that system,” the director commented. “It’s a partnership between the county and the citizens. One of Johnson’s first priorities is helping transition Charles City’s Fire and EMS services into a paid department. He said that it will be a challenge especially for a director who has the weight of a big responsibility. “It’s a lot of behind the scene things that go on,” Johnson said, mentioning items such as the department getting proper licenses, additional personnel, and proper equipment. “Having a paid training department will build confidence in fire and in the community. Even on the job for less than three months, Johnson made it abundantly clear his expectations for works as well as himself going forward. “All workers will have their expectations in writing,” he said. “They are going to have a more rigid type of operation. There will be more rules and regulations and it’s going to be more training along with trying to get firefighters cross-trained.